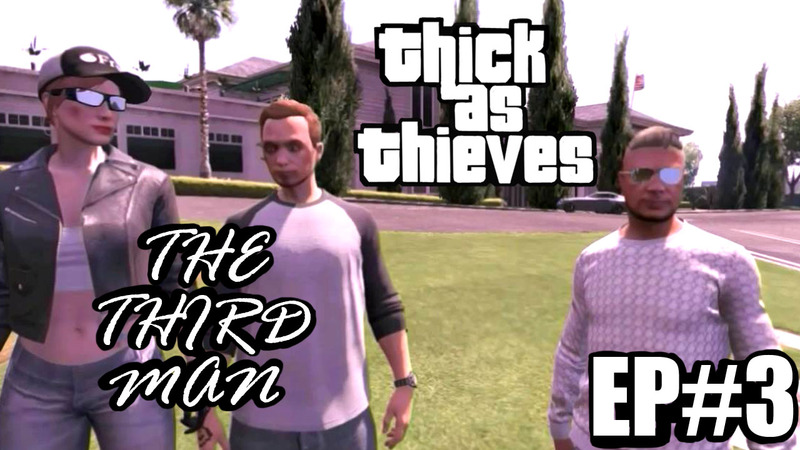 Tomorrow at 6pm GMT, the third episode of a seven part series called Thick As Thieves will air on YouTube. The exciting new web series based on Grand Theft Auto V online stars Adam Weavers, Catherine McRae and Scott Harrison who joins the regular cast. As with the previous episodes the third instalment in the series was written and directed by Andrew Owens. Episode Three, The Third Man, sees Arthur and Karen teaming up with Jason Diggs, a hot-tempered sharpshooter who can’t help but get under Arthur’s skin. This time the team need to acquire a plane from a biker gang in the rural town of Grapeseed. With Karen and Jason providing cover so that Arthur can gain entry into a hanger, what could possibly go wrong? The fourth episode, Bolingbroke, will air on Thursday August 18th with successive episodes to follow every two weeks thereafter. To insure that you never miss an episode, click on this link https://www.youtube.com/channel/UCpK56_vvkyC2hCLzdYkAnlQ and subscribe to CLAMSO Productions.